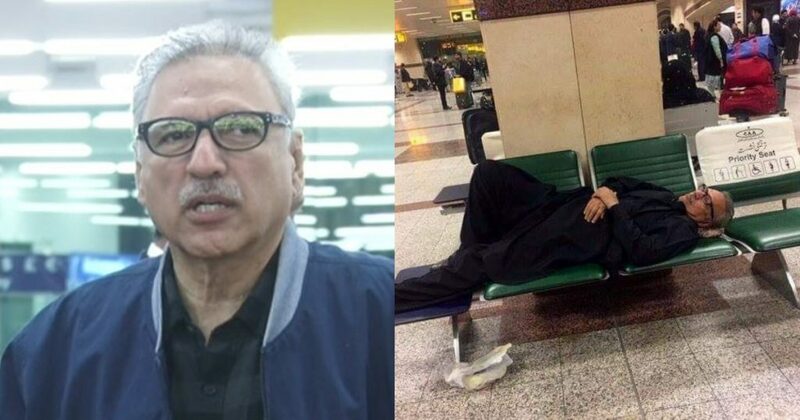 President Dr. Arif Alvi Was Seen Resting At Islamabad Airport And Pakistanis Are Pleased With His Simplicity! Pakistan is having it’s golden time, after the worst decade. Right after independence, the last decade was probably the worst of all. Because apparently PPP and PML-N thought that the country is “abba jan ki milqiat” and started looting it and created some companies off-shore *top secret* don’t tell this to anyone, okay? Well, talking of the good times in Pakistan, IT IS NOW! And it was only possible because the nation gave Imran Khan a chance. Every day we wake up to hear a new advancement in every sector, be it education, health, technology and what not. In a recent survey conducted nationwide, it was concluded that 57% of people in Pakistan are happy with Imran Khan’s work. When Imran Khan became the PM, he made sure that he will build a team which would make the country better. So, when Arif Alvi became the president people took a sigh of relief. He too is someone with a clean background, he doesn’t really have any cases which would put him in a questionable state. 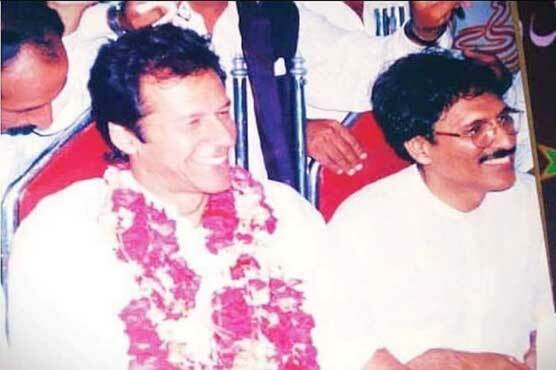 Also, President Alvi and Imran are very old and good friends! 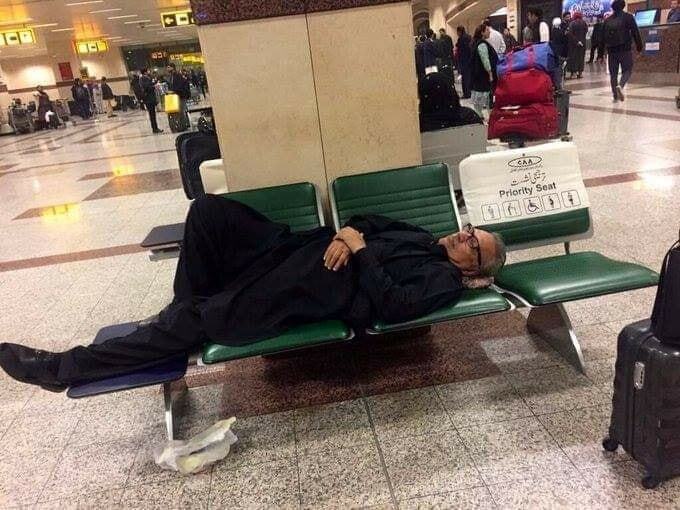 Recently, the innocent president was found sleeping on the seat of Islamabad airport and someone took a photo of him. Nend hai kahin bhi aa sakti hai and president sahab didn’t miss a chance! Hahah. This photo is now more famous than any other! LOL! Many people called Arif Alvi dramaybaaz and what not and even said that he keeps a photographer with him to take such photos. But the one who took this photo could be a passerby, no? Maybe someone caught him sleeping this freely in the country where he is a president and thought that this a moment to capture! Just sayin’! But this photo reminds us of all the moments when Imran Khan’s several photos went viral every time he sleeps in a public place. Looks like PTI have a policy of taking short naps every time they feel sleepy, haha! There are many other photos which went or were made viral on purpose. Some of them were politicians who followed the footsteps of Imran Khan and offered namaz publically. Matlab why?